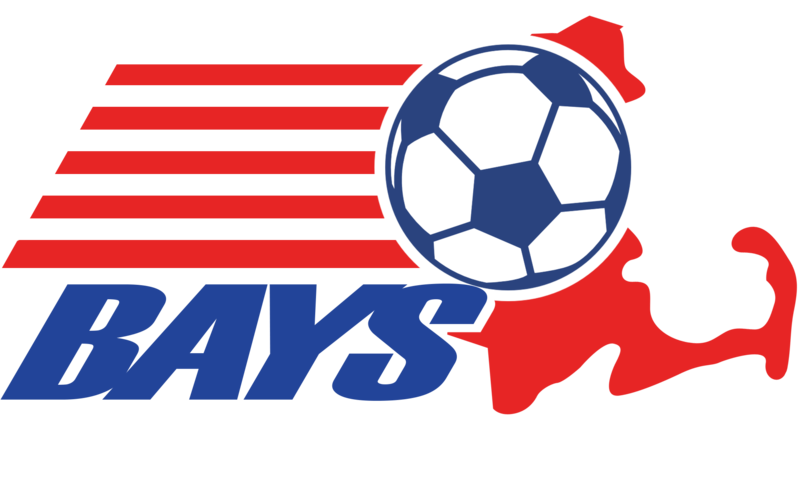 The primary intent of the BAYS league is to provide inter-town competition; the primary requirement for team play at all levels is town residency. For all divisions – There are two types of waivers that may be requested: (1) automatic waivers and (2) discretionary waivers. Automatic Waivers: Waivers that satisfy any of the following guidelines will automatically be granted. A player who lives in town A and attends school in town B may play for either town. Players who live in town A and attend school in town B may continue to play for town B indefinitely, provided that: i) the player played for town B for at least two of three consecutive soccer years by virtue of attending school in town B; and ii) the player continues to play for town B. Once the player plays for a town soccer program other than town B, he or she may no longer play for town B under this waiver provision. A player who moves from town A to town B and has played as a resident for town A for at least two of the previous three soccer years may play for either town. Such previous play need not have been in BAYS. If a player who has moved from town A to town B meets the initial requirements of this waiver provision, he or she may continue to play for town A indefinitely, provided that he or she does not play for any other town soccer program. Once the player plays for a town other than town A, that player may no longer play for town A under this waiver provision. A player who has parents living in different towns may play for either town. A player whose family is a member of a bona fide cultural organization may play for teams sponsored by that organization, provided that the organization was a member of BAYS on or before January 1, 2010. A player residing in a town but having a mailing address in another town must play for the town of residence while listing the mailing address/town on the roster, unless covered by another by-law. Discretionary Waivers: Waivers that satisfy either of the following guidelines will be granted at the discretion of the Competition Committee. A player who lives in a town that has no team or no opening on a team at the player's age level may play on an appropriate team in an adjacent town provided that the player has made a timely, good faith effort to try out for such an opening on his own town’s team. Adjacent towns which have an insufficient number of players to form two full teams at an age level may combine players to form a team, which would be placed in an appropriately competitive division. Town of residence response to the waiver request. Any subsequent renewal of the waiver will require a three-quarters vote of the competition committee. Division 1, like all BAYS divisions, should be evenly competitive and in the spirit of inter-town competition. Each player has a right to competition at the highest level his or her capabilities will allow. Premier League (e.g. MAPLE) play will generally be considered to satisfy this requirement. A player who has access to division 1 play in his or her town of residency should not be considered for such play in another town (except as already provided in Section A of this bylaw). Requests for all residency waivers must be submitted by a club official in accordance with instructions posted each season on the BAYS website. Players for whom a residency waiver is requested may not be rostered nor play until the club receives notification of the waiver approval. Determinations of the Committee under this by-law are appealable to the BAYS Board of Directors. Organizations which represent two adjacent towns associated in a regional school district shall be considered as town organizations for purposes of these bylaws and shall have the same rights as organizations representing a single town. Any waiver granted for the Fall season shall also be valid for the next Spring season provided that the conditions justifying the waiver have not changed. All waivers expire at the end of each spring season. Additional requirements may apply to players who live outside of BAYS geographic area, who lives outside of Massachusetts, or who were born in a foreign country. These requirements are established by the Massachusetts Youth Soccer Association and the United States Youth Soccer Association. Towns should consult the information posted on the BAYS website or contact the BAYS Registrar for assistance before rostering any players in these categories.